1. It has good antiseptic properties that fights common cold and fevers. When Jeera water mixed with ginger soothes soar throat. 2. Cumin seeds are highly noted for digestive disorders like biliousness, morning sickness, indigestion, atonic dyspepsia, diarrhea, malabsorption syndrome, and flatulent colic. 4. Cumin is effective in relieving sleeplessness. A teaspoon of cumin seeds and a riped banana can be taken at night to induce sleep. 5. It is rich in iron and thus very good for lactating mothers as well as women who are undergoing menses or who are pregnant. 6. It is rich in Vitamin-E. The essential oils present in this have disinfectant and anti fungal properties. This prevents any microbial and fungal infection from affecting the skin. 7. The presence of, abundance of iron, presence of essential oils and vitamin-C & vitamin-A in cumin boosts up our immune system. 8. Very good for anemic patients since cumin seeds contain a good amount of iron which is an essential element for the formation of hemoglobin in the blood required for transport of oxygen. 9. Strengthens hair and nails. 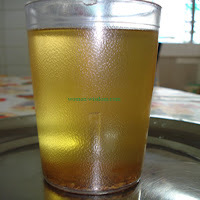 How to prepare Jeera water? 1 spoon cumin seeds for 1 glass of water is taken and boiled well. Addition of ginger and honey when boiling gives a great relief of common flu and cold. To overcome stomach disorders mix it with lime juice and consume. thanks for the information, i have been drinking cumin water for almost six months without knowing its iron content, this explains why my recent blood tests showed very good results. now i am for sure to continue my intake.